I volunteered at the clinic in Tempe on 8/30. As sometimes happens, there were too many cats to fix that day. Volunteers Wayne Begun and Bob Janda had organized a TNR effort in a trailer park in East Mesa. They were going for 25 -30 cats and ended up trapping 48 cats... Go Wayne and Bob! Turned out that 31 cats could not be fixed that day as we only had one vet. The remainder had to go to another vet the next day. This happens quite often but I always say; "Better too many cats than not enough". After the clinic Suzie and I loaded up our vehicles with cats and headed for my place to hold them until the next day. Cats were fed and watered as they had not eaten for several days. It was about 20 degrees cooler in the garage thanks to the cooler, and they waited comfortably. The 31 cats were transported to the vet who was again kind enough to do ALL of them just as another vet had done last Monday. Our vets are so wonderful and are always happy to see more feral cats. The cats had to be picked up later that day and aftercared in the garage. If this was not enough, I had a trapping job that night for 15 cats that turned in to a total of 28 cats! This was another example of an elderly lady whose family moved her out of state. My friend Joyce met the feeder and arranged for this trapping job. Joyce deserves a lot of credit for making this happen and was a lot of help in the process including bringing me dinner! Most of you know I do not often think about food when there are cats to be trapped. Thanks Joyce for your help including paying for some of the surgeries. After picking up the 31 cats I loaded up traps to go trap in yet another older Phoenix neighborhood. 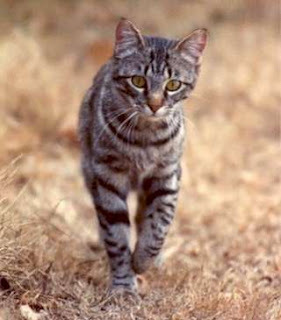 It seems like the 85008 zip code has more feral cats than any other place in Maricopa County. I fed the now fixed cats upon returning home that night. Fortunately I was able to leave the newly trapped cats in the car overnight as it had cooled down. There were now 55 cats at my place - 31 in the garage and 24 in my car. I did trap two more overnight for a total of 26 cats then two more the following night for a grand total of 28 cats TNR'd in this colony. This colony is 100% fixed - at least we saw no other un-eartipped cats. For the first time ever I actually trapped four kittens in one trap. The vet was able to fix about 11 six-week old kittens. If this were not the case I'd have been at a loss on what to do. One cannot release unsterilized cats but they had no place to go. It used to sadden me to TNR such young kittens but there are just too many cats and kittens and not enough homes for them. I always try to look at "the big picture" but it still hurts. After taking 26 cats to two different vets I met Suzie at my house to load up the 31 cats in our two vehicles to drive them back to Mesa for release at two locations in the trailer park. From my place this drive is nearly as far East as Aguila is West - so it was back on the 202 eastbound as we had been on the Queen Creek job a couple of weeks ago. When people ask me how I know how to navigate around town without a GPS I say; "from trapping cats all over town". After a while one knows the best way to navigate around the Valley (I should probably apply for a UPS job or maybe solicit them to transport cats for me). After releasing the cats I got a call from one vet saying someone had not signed their paperwork so back to the vet I headed. Between 4:00 and 5:00 PM I was back picking up the 26 cats at the other vet to bring them home for aftercare. I was now up to four trips to the vets today. Then I was off to set more traps for the stragglers. I loaded up the 26 cats for release and headed back again to check traps. We caught two more cats overnight for a total of 28 cats. I took these two cats to the vet and picked them up later along with five cats at another vet that Suzie had trapped. So I had seven cats for aftercare that night. But after unloading these cats it was off to trap two cats at another location and drop off my drop-trap to a caregiver trying to catch one last cat. I met Suzie for release of her five cats, picked up a straggler from that location and headed down to 85008 to release the last two cats from the large colony. Then I took the three cats to the vet and picked them up later for aftercare. I released the one cat for Suzie and she released the two I had trapped Wed. night as the caregiver was closer to her place. There were lots of traps and covers to wash to get ready for next week's adventures. With the holiday on Monday, several vets were closed Friday and Monday there would be no vets. And, there would be no weekend clinics making this an uneventful weekend. I do hate holidays! I do, however, always trap on Christmas night and New Years night if the holidays fall during the week. By the way the person drop-trapping did catch the last cat and got it fixed on 9/4. Thank you Joe Wisdom for helping perfect the drop-trap design. The Spay Neuter Hotline TNR program has sterilized nearly 5,000 cats since launching our program in March 2009. We need your help. Please consider a tax-deductible donation to help us fix more cats. Our goal is to eventually TNR 20,000 cats/year and we cannot do it without your support. Remember to spread the word about spay and neuter of tame cats - the major source of feral cats. TNR alone will not solve the problem. There are low-cost and even free spay and neuter options for tame cats. For more information visit our website. And, there will be Fundraiser on 9/18 at Tom's Tavern in downtown Phoenix.Check it out! I'll be speaking about our new TNR program and my ideas on solving the free-roaming cat overpopulation problem in Maricopa County and beyond. And there will be some good whiskey tasting too!